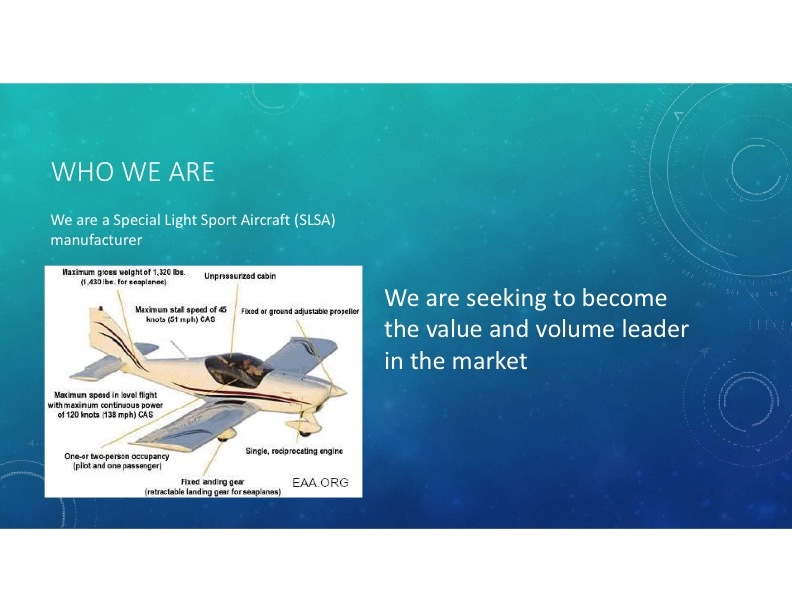 Startup aircraft manufacturer seeking to become the cost and value leader in the light sport aircraft segment. Our purpose is to make flight affordable again. 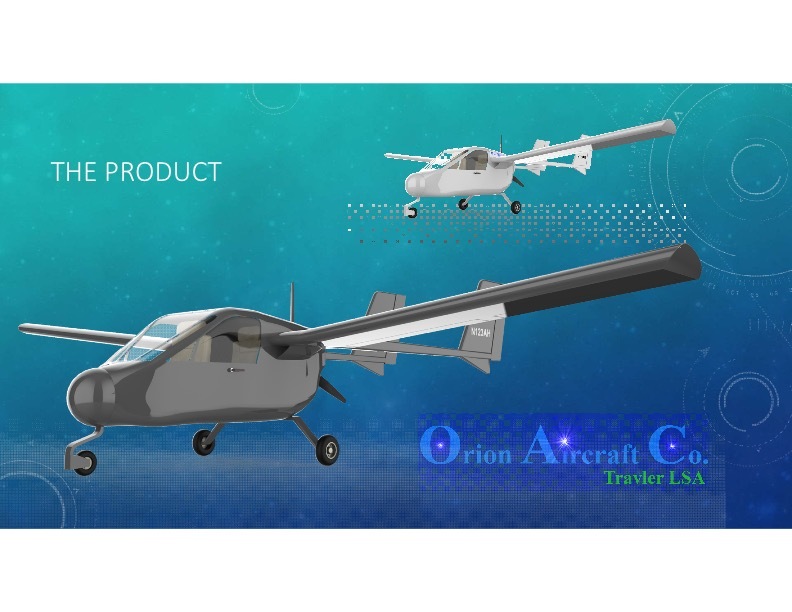 Orion Aircraft Company is a startup aircraft manufacturer seeking to become to cost and value leader in the light sport aircraft segment. Our purpose is to make flight affordable again. 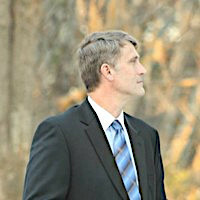 Andrew House, the founder of Orion Aircraft Company, has been involved with private aviation for more than 30 years. During those years he observed a simple truth: aviation is out of reach to the average American consumer. There are no aircraft for the common American. Light Sport Aviation regulations attempted to address this problem. 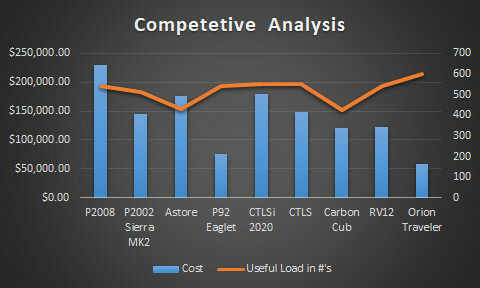 However, current manufacturers of light aircraft are still charging very high prices. 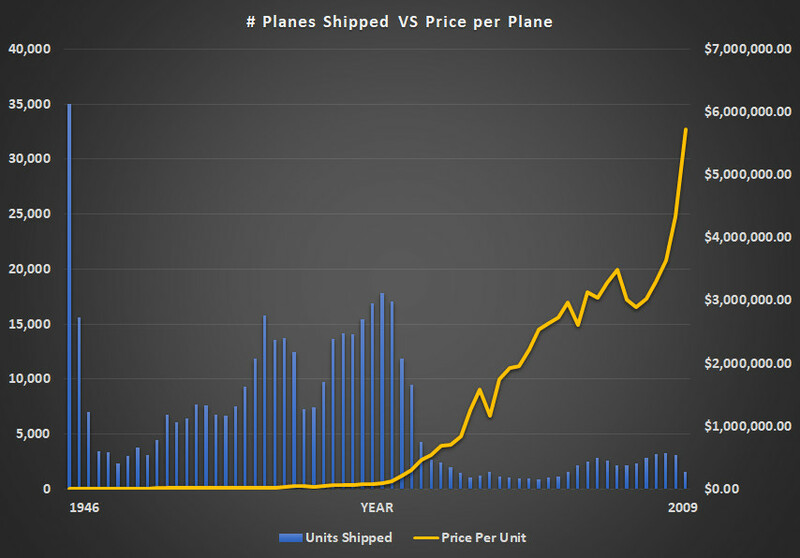 Aircraft, no matter how light, are currently still very expensive to build. We need innovation in manufacturing. When aspiring pilots do basic analysis to determine the best route to a pilot's license and/or regular flight for personal or business reasons, they inevitably come to two conclusions: 1) you will either be stuck flying a 30+ year old plane that makes little sense in upgrading because the return on investment just isn’t there, or 2) you will need to pay at least six figures to get into a modern aircraft. 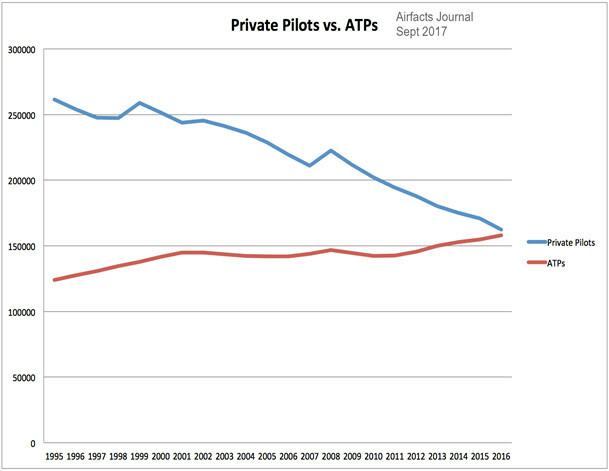 Due to the expense of flight, the industry as a whole is suffering from a decline in pilots which will eventually affect commercial aviation. All commercial pilots get their start in private aviation or the military, necessitating a vibrant private aviation industry and market. There will be an estimated 14,000 person shortage of airline pilots by 2026, according to a University of North Dakota study. The AOPA article “Snapped Up” discussed in detail the commercial pilot dilemma in 2018. The CBC covered why the industry is having trouble attracting new pilots. Forbes reported on the shortage of commercial pilots and some of the unusual sources of new pilots. The last line in this Tech Crunch article is what we are trying to accomplish. With the expense of airline route buildout the airliners don’t service every town where business is conducted, focusing on a hub and spoke layout to provide the best coverage possible with the least cost. The system leaves large chunks of the country at least an hour from jet service when there is usually a local airport exactly where you need it to conduct business. Airlines are also operating on very thin margins forcing them to overbook. Ensuring the seats are full maximizes the profit on any flight and it is a legal business practice. The LA Times reported about it and why it makes since, but it doesn’t help you when you are the one being bumped off the flight. Air Travel Is Better Than Ever? Private Aviation vs. 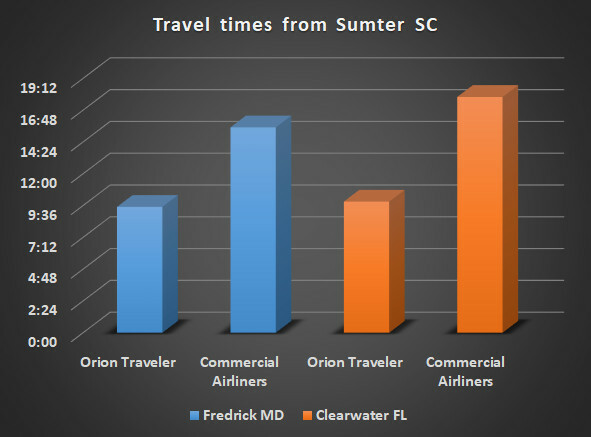 Airliners, travel times, using the fastest routes and most efficient means of travel. The airlines only win if you are flying cross country and the experience is far better in your own plane. 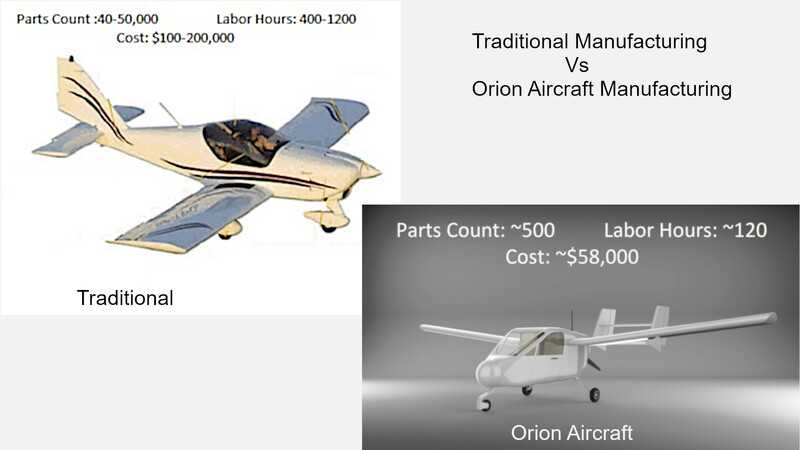 We at Orion Aircraft are changing the manufacturing process for aircraft. 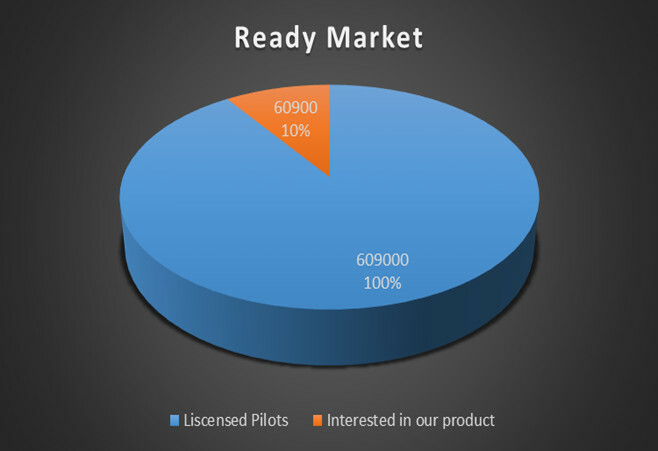 We are using proven technology successfully utilized in other industries to bring value to the private aviation market. Our technology reduces the parts count and labor required to manufacture an airplane by an order of magnitude, reducing the costs associated with making an airplane. 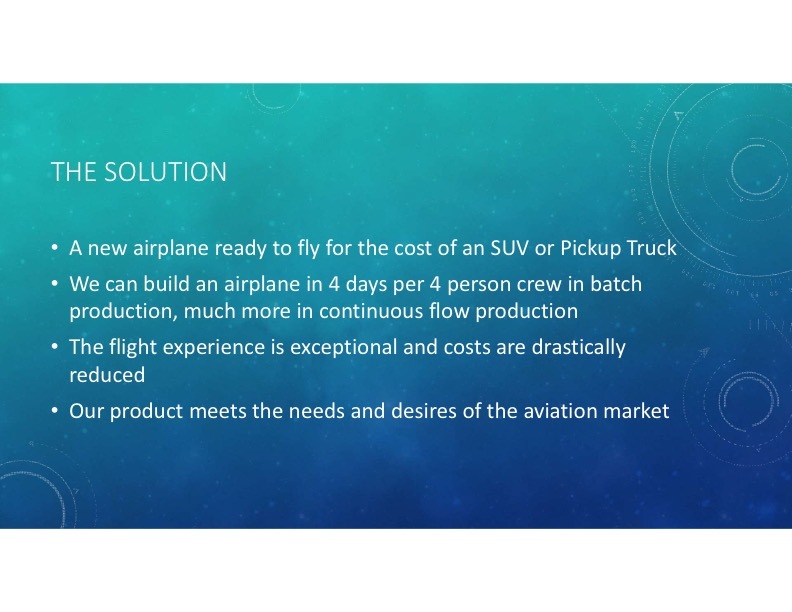 We aim to bring the cost of a new airplane down to the cost of a new well equipped pickup truck or SUV, which is generally the gauge of middle class affordability. We are looking at a target price of $58,000 ready to fly. Traditional aircraft manufacturing is accomplished with either metal or composites. During metal aircraft manufacturing you traditionally attach skins and structural pieces with rivets or other mechanical fasteners. This requires drilling a lot of holes and cleaning them to ensure you get a good tight fit. Composite manufacturing uses fewer components but they are all placed in a mold and epoxy coats everything and it cures making a solid structure. However, the time to make the mold and the time required to get a smooth finish is exceptional. Our manufacturing technology tapes all the aluminum panels together without any drilling or mold making. Since we are removing most mechanical fasteners and we have to spend very little time on finishing, we save a lot of time. I know what you are thinking: you want me to fly in an airplane held together by tape? Well, this is no ordinary tape. It requires more than 100 psi to get the tape to start to peel and in sheer the aluminum usually tears before the tape separates. It’s pretty impressive stuff! In this video produced by 3M you can see the strength of manufacturing with the tapes we will be using, with an exceptionally aggressive testing method of repeatedly sticking the joint with a bowling ball. This video, again by 3M, shows the testing that goes into the tapes and the longevity of the tapes. This video shows the speed of manufacturing with tape vs rivets from a distributor of 3M tapes. 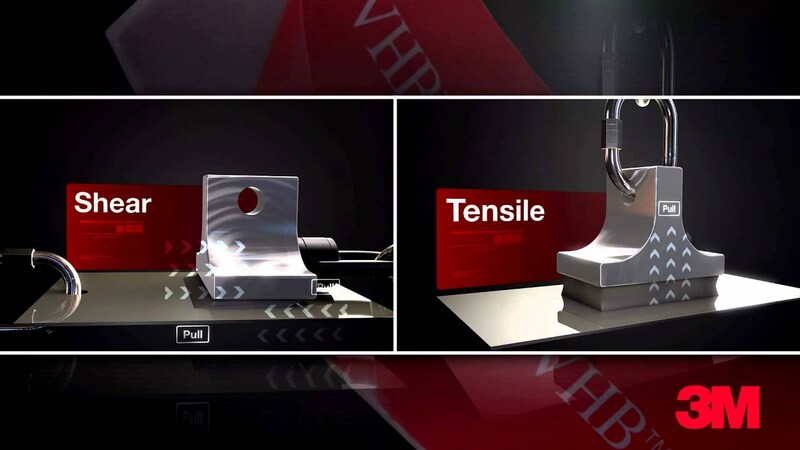 This video from a distributor of 3M tapes shows the speed of manufacturing and strength of the metal joins with tape vs rivets. 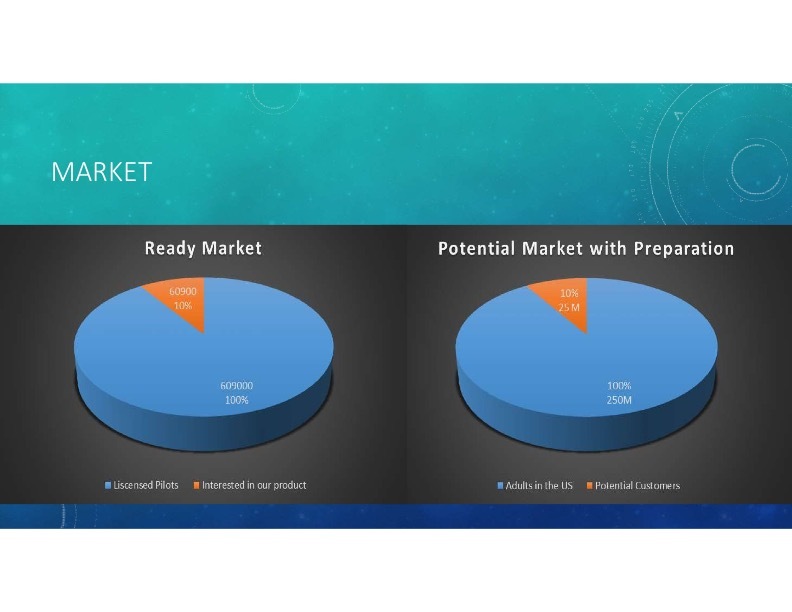 The first of two major segments of potential customers is the prepared market of ~609,000 pilots that are already aviation enthusiasts that are always seeking innovative products or experiences. We could potentially capture up to 3-10% of that market or 18,000 to 61,000 sales over the next 10 years. The Piston engine aircraft market averages about 1,000 aircraft sales per year and the market has been depressed since 1980 because of the cost of aircraft. 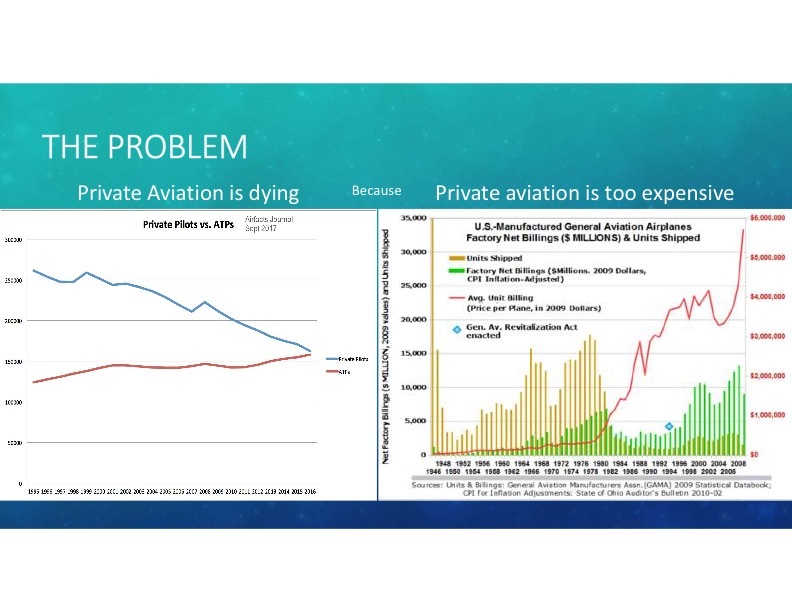 (APOA 2019 State of General Aviation) From 1964 to 1979 210,302 airplanes were sold or 14,020 aircraft per year (GAMA 2009 Statistical Databook), when the aircraft average price was $61,000. We should see aircraft sales return to historical levels when we can bring the cost back down. The single largest factor in people dropping out of flight school is Cost. (AOPA The Flight Training Experience) The average cost of a Private Pilot License is $9900 with a Light Sport License costing about half of that with &frac23; to ¾ of the cost being aircraft rental at >$120 per hr. We plan to cut the cost by at least ½ because our airplane is less expensive. Flight schools have already expressed interest in our airplane because they will be able to get higher margins for flight training while also reducing the expense for the student pilot. 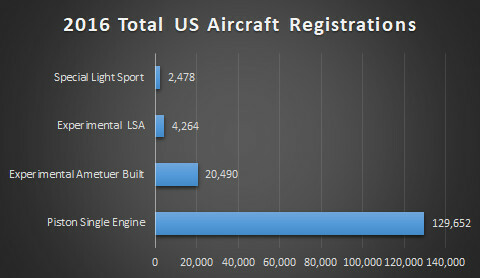 With approximately 609,000 pilots the number or registered aircraft remains relatively small at about 160,000 including Certified, Experimental and Light Sport meaning aircraft ownership is at 26%. Every pilot I’ve ever known wants to own their own plane and most cited cost as the reason they don’t. The second segment of potential customers are the currently unflying public that views private aviation as too expensive. We believe that many new customers can be created with some education and the availability of an affordably priced aircraft. This market requires preparation and will require the resources beyond our company at this point but we are looking at 25 million potential customers in this segment which are adults over 18 in the US. Older GA aircraft. These usually fall in the $20-50,000 range for something comparable. These aircraft are usually greater than 30 years old and most pilots do not upgrade them unless regulations require because the return on investment doesn’t warrant putting money into the aircraft. These planes tend to have a long list of maintenance requirements and parts availability issues. Experimental Aircraft. These pose two problems, you either have to build the airplane, or purchase one somebody else built and rely on their quality of workmanship and their quirks of manufacturing. Orion Aircraft is different in that we are leveraging advances in manufacturing technology of large complex items to realize a cost savings. While still remaining profitable we plan to pass significant savings along to the customer, reinvigorating a languishing market that is looking for innovation and a disruption of the status quo. We plan to be the disruptor that gets this market moving again and returns private aviation back to affordability and vitality. 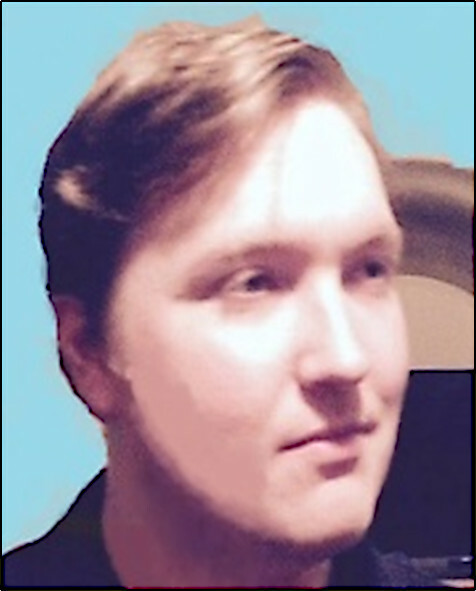 We plan to make money through the sale of aircraft. 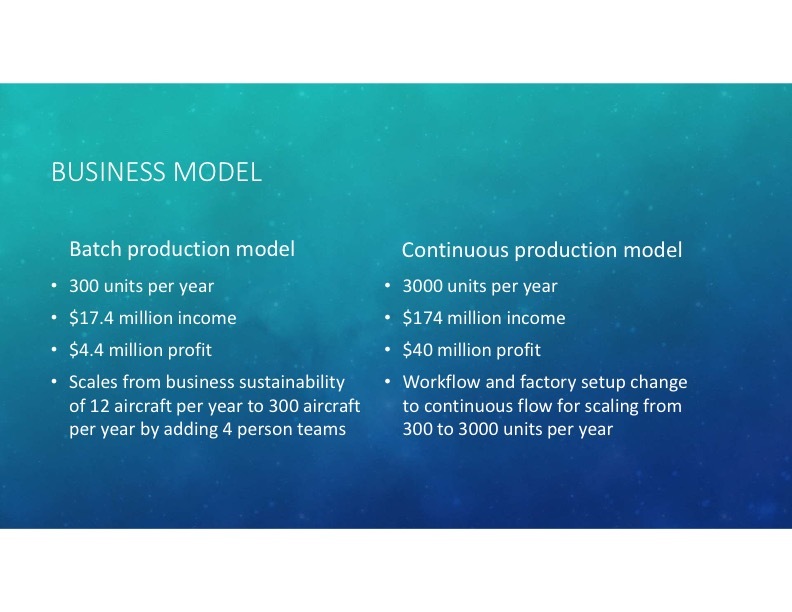 The business is designed from inception to be sustainable manufacturing 12 airplanes per year but is scalable to 3000+ airplanes per year. Based on conversations with suppliers and other people who know the industry, we believe we can generate thousands of orders at this price point. 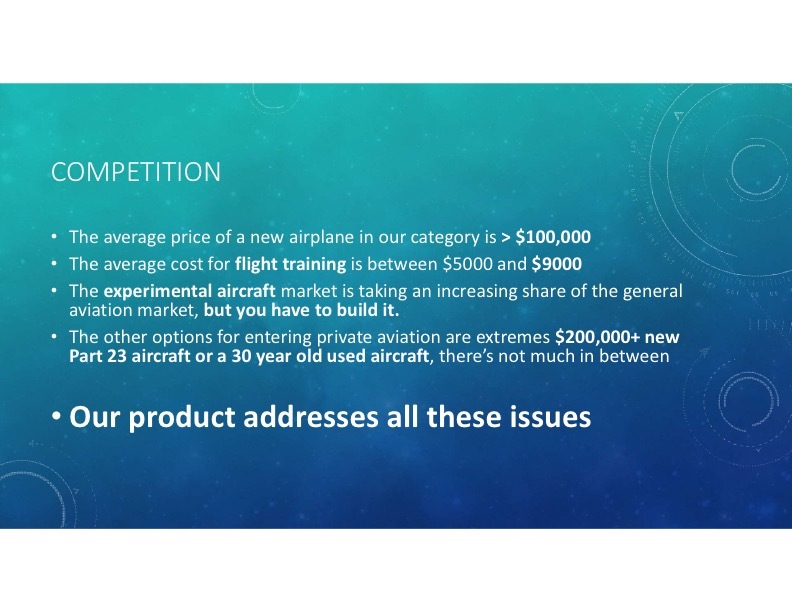 We have calculated with a margin of safety that our cost of goods sold will be 74% of the retail price of the airplane leaving a substantial margin for profit. These calculations do not take into account savings on costs due to commodity scale orders for raw materials which would likely produce an additional 3-10% increase in profit margins. We are now at the stage where we need to build a full size flyable prototype. Once we have our prototype built and flyable with an airworthiness certificate under the Experimental category we plan to begin the process of generating customers. Our plan is to visit the three major air shows that provide the greatest exposure for our product in 2020. 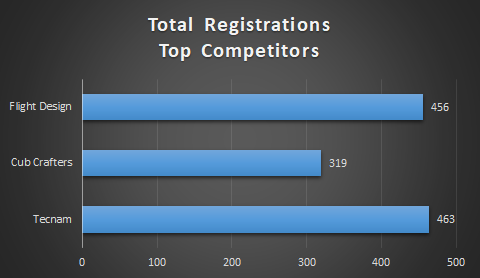 The first would be the Light Sport Aviation Expo in Sebring Florida January 2020, the second Sun-N-Fun in Lakeland Florida March 2020, and third, but by no means last, is Airventure in Oshkosh Wisconsin July 2020, which is perhaps one of the largest air shows in the world; between these three airshows we will be putting our product in front of around 600,000 potential customers. The air shows will do three things, get us the most publicity possible in the shortest amount of time, let us take pre-orders for future deliveries, and gauge customer reception to our product in a prepared market. 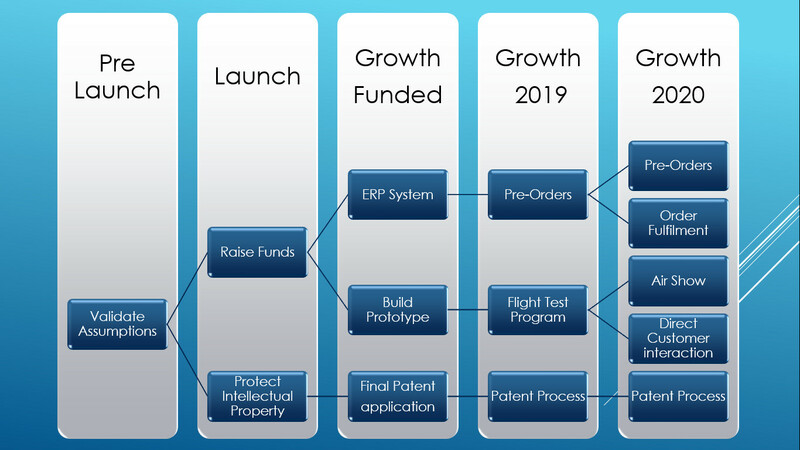 Orion Aircraft is an early stage business. We have completed testing on engineering samples and our technical assumptions have proven valid. We built small test samples utilizing our manufacturing methods “taping together aluminum assemblies” specifically a section of the wing spar, then we loaded them beyond what we would see in use, even under extreme circumstances, and the materials performed well beyond expectations; deflecting but not separating or taking on any permanent set. All the samples returned to their original shape and dimensions once the load was removed. These successes prompted us to seek patent protection for our processes and methods. 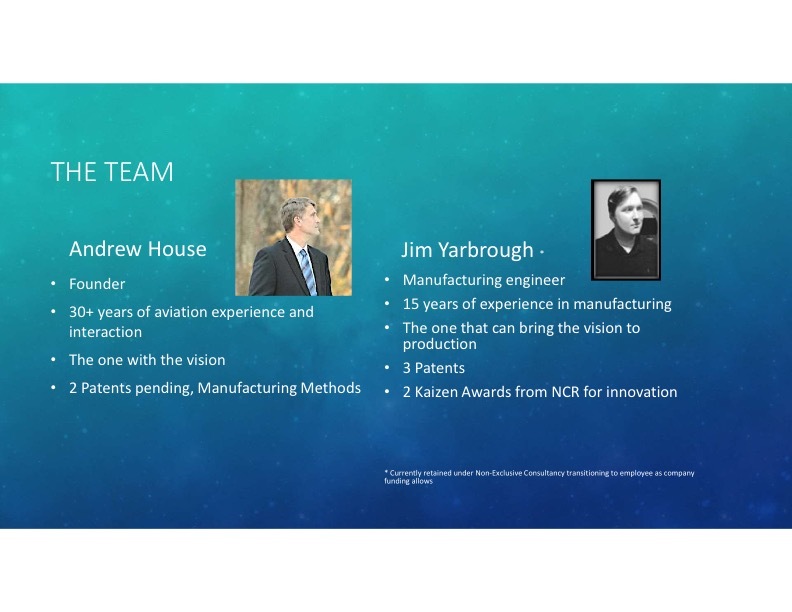 We filed provisional patents for Airframe Manufacturing and Aerodynamic and Hydrodynamic Shape Manufacturing using our techniques. We have the full intention of continuing with the full patent process. Orion Aircraft currently has a small team which we intend on growing as the company has needs and the requirements for expertise expands. Mr. House has spent more than 30 years involved with and observing the private aviation industry and the constant undertone of all conversations comes down to the expense of flight. Mr. House received an Executive MBA from the Jack Welch Management Institute and has first hand experience with the struggles facing the Private Aviation Industry today. 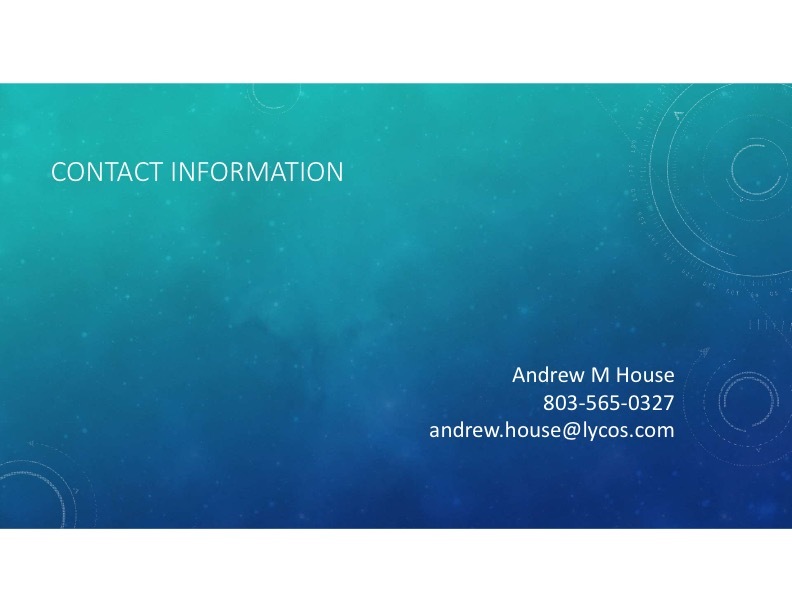 Manufacturing Engineer with 15 years experience in both batch and continuous flow production methods. The proceeds from this fund raise will allow the key staff to spend most of their time directly focused on building the business. A critical piece of the business is getting a flyable prototype built, flight tested to gain airworthiness under the experimental aircraft regulations, seek regulatory approval from the FAA as a Special Light Sport Aircraft. 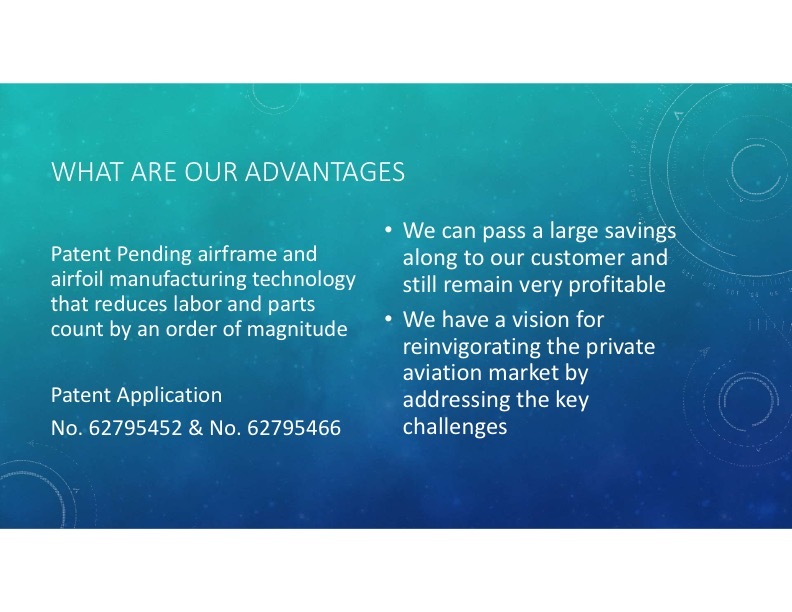 We will have the resources to market the aircraft effectively to a prepared market of enthusiasts who will be the drivers of innovation in the industry. 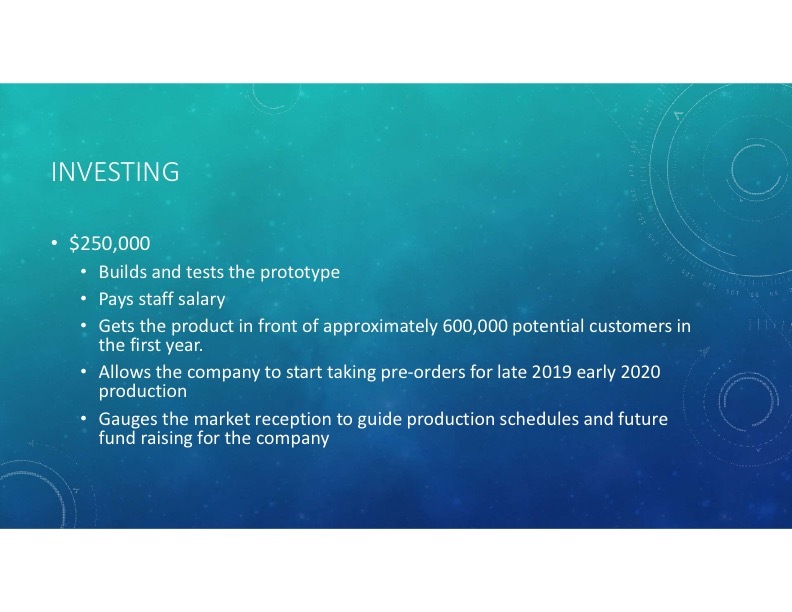 We will have the resources to build an effective online presence and setup the company infrastructure for the next big phase of company growth, production. A successful fundraise will position the company for growth and increase the value to its investors by getting the company ready for its next steps while also ensuring we can provide what is needed to grow our customer base. This is an offering of Membership Interest Shares, under registration exemption 4(a)(6), in Orion Aircraft Company LLC. This offering must raise at least $10,000 by July 12, 2019 at 12:00pm ET. If this offering doesn’t reach its target, then your money will be refunded. 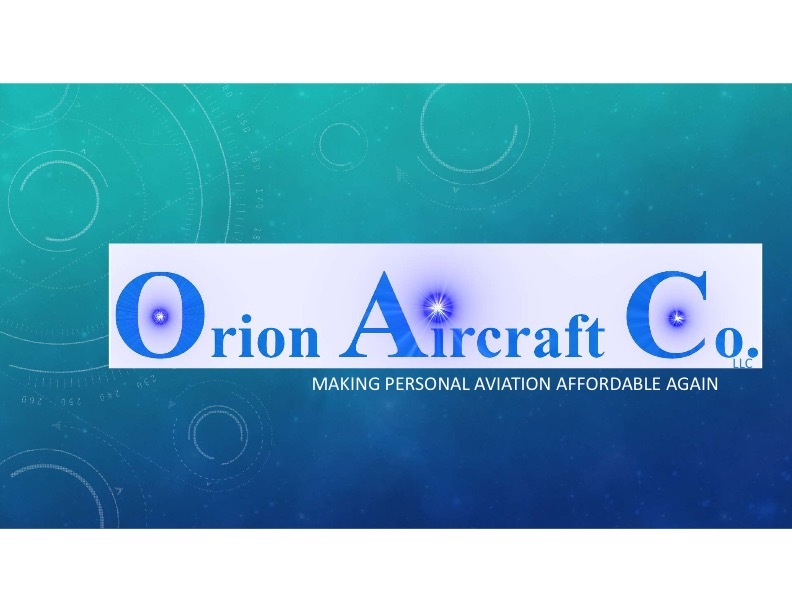 Orion Aircraft Company LLC may issue additional securities to raise up to $300,000, the offering’s maximum.